Scientists know that the laws which govern the macrocosm are encoded in a single drop of water. Humanists are reluctant to employ such all­embracing concepts, but even their disciplines deal with a range of matters, great and small, important and prosaic. Every great event leaves an imprint on the fate of ordinary people and, vice versa, great 'historical' events are the result of actions of people who are usually unaware that they are shaping history. For this reason, researchers often take particular interest in what seems to be a banal phenomenon and by studying it hope to penetrate the actual structure in which the phenomenon was able to come into being and take form. I write this in order to assure the reader that the subject of this article is in actual fact closely bound to the most essential problems involved in the establishment of Polish independence after the First World War, and also to the difficult and sensitive issues of Polish historiography as a whole. I will begin by referring to some correspondence of 1971 between myself and Professor Marian Kukiel. My original letter to him was prompted by a book he had recently published on General Sikorski. I had never written about the book's hero but in working on contemporary history I had referred to other work by Kukiel. I had never had any personal contact. with the author, but had felt grateful towards him for some time. I considered that making my own material available to him would be the best way of expressing my gratitude to a venerable scholar who was, for my generation, practically a living legend from the recent past. I had a parti­cular detail in mind, concerning Sikorski's appointment in August 1919 as 'commander of the Polesie division on the Lithuanian-Byelorussian front' which, Kukiel suggested, was due to the particular 'significance of the Polesie region in the war then in progress. This statement seemed to me to be unjustified. Disregarding for the moment the debatable question of whether a single division could have succeeded in carrying out such a plan, the fact remains that on taking command in Polesie, Sikorski received no strategic or even general battle orders. This was a critical moment in the Russian civil war. At this point the 'Whites', led by General Denikin, had achieved one of their greatest successes which prompted the flowering of an intransigent nationalism and the refusal to recognize" the independence and borders of the young states which had formed on the Empire's ruins. Poland and the other emergent states were theoretically allies in the battle against communism, but the unity of the empire was a greater priority for the leaders of the Russian counter-revolution than the defeat of the enemy. Poland observed the successes of the 'Whites' anxiously; their eventual victory would not bode well for her. Sikorski's orders on taking command of the division hardly reflected the importance of the moment. He was instructed to maintain the peace, to straighten the line of demarcation and not to get involved in the war in Russia. He had only small active experience of battle, or indeed of leading a large unit. He was an engineer by profession, his military knowledge had been acquired at an Austrian Officer Reserve Army. School and his position throughout the war had been primarily political, if not actually behind the lines - he had been head of the NKN (Main National Committee) army department. He did play an active role during the war with the West- Ukrainian Peoples' Republic, but his contribution was not widely praised. His predecessor in Polesie, General Antoni Listowski, was a professional officer who had served in the Tsarist army. He had had wide experience on the front and possessed the temperament of an ardent fighter, particularly valuable when directing the kind of manoeuvres necessary in a war conducted on the country's borders. If it was a question of the operational problem of the 9th Division, then replacing Listowski with Sikorski was a very rash move. This was not, however, the case. Sikorski's appointment was a carefully considered, even a necessary step. The new leader had qualities his predecessor had lacked. Sikorski was an experienced organiser, a cultured man, free of the barrack-room psychology which prevailed to a greater or lesser degree in an army which had been through five years of war. He was - as Kukiel put it in his letter - a European. He was also one of the few superior officers on whom the Commander-in-Chief, Józef Piłsudski, could rely completely. Many readers will be surprised by my last sentence. Collective aware­ness continues to retain the stereotyped image of an army unquestioningly devoted to Piłsudski and dominated by the legionaries, particularly those from the 1st Brigade. This stereotype has its roots in reality, but does not apply in the first years of independence. It is true the army had certain centrally-positioned interest groups at the time of regaining independence in the form of the PSZ and POW (Polish Military Organization) which were linked with Piłsudski. However, all available forces had been taken advantage of in the hectic organization necessary during a very dangerous and precarious time. As a result, the officers of the partitioning powers dominated the scene. Since Poles had not attained high rank within the German army (an exception being Colonel, later General, Raszewski), and only rarely in the Austrian, but had made careers on a large scale in the Russian army, it was officers of this last who were available and more willing to serve the Republic, especially as the Bolshevik revolution had robbed them of their positions and often of all their possessions. Although they had often been in the service of the Tsar out of practical necessity, it was, nevertheless, a service voluntarily undertaken and impeccably carried out, as the orders and ranks they received testify. Renegades were not accepted for service in Poland, and there was no lack of these, beginning with the fictional Major Plut and ending with real characters such as Warsaw's Governor-General Hutko Romeyko or Captain Siekierzynski. Those who had attained the peak of their careers in Russia, such as the Klebowskis - Napoleon Cezariewicz and Cezary Napoleonowicz - did not return. Not all those who returned were as culturally russified as General Dowbor-Muśnicki, whose period of service provoked Wailkowicz into writing a vehement pamphlet. Some officers had managed to balance their Tsarist service with their Polishness and a few had actively assisted the Polish liberation movement. Sikorski did not belong to the Piłsudski camp in 1919 - by which time it was already a dosed slan - but the situation in general did not allow Piłsudski to spurn allies from outside his own ranks. This division of strength in the army, which reflected 'civilian' political divisions, had repercussions on Piłsudski's political strategy; isolation forced him to com­promise but also created an atmosphere of distrust, of division into 'us' and 'them'. It obliged him also to overlook sometimes grave shortcomings and faults if committed by 'one of us'. To go back to my original point - if Piłsudski could not count on many of the superior officers, if Sikorski was one of the few exceptions on whom he could rely, and if the division Sikorski took over had received no strategic directives, then we are faced with the question why Piłsudski should have buried a valuable colleague and authoritative figure in the Polesie backwoods when he was probably more necessary in Warsaw? There is also a related question. Why did Sikorski, who was more politi­cian than soldier and an activist of considerable influence, decide to leave the capital in order to lead a single unit in an area with a tiny Polish population and of no political significance? Here my correspondence with Kukiel ended. I ought to have been content that the author of Sikorski's biography had conceded my argu­ment. But I was not. On the contrary, I was led to reflect on the difference between the history made accessible to the public and that discussed within the confines of small, confidential circles. In other words, on the taboos passed over in silence in the name of higher aims. Surrounded by the still waters of the Pripet river, cut off from the world by almost impenetrable marshes, the town had long vegetated. Though something of a cultural desert, it nevertheless played a large part in Jewish life; and emigration meant that the Jews of Polesie had many contacts abroad. The Germans had occupied it during the last years of the war. After their defeat army detachments began to move in from both sides, the Soviets from the East, the Poles from the West. In January the Soviets took Pińsk, in March the 34th Polish infantry regiment took over. Their commander wrote in his memoirs that 'the operation was not particularly complicated' and that 'the Bolsheviks did not put up much of fight and managed to escape beyond the river, leaving the armed Jewish population to cover their retreat, shooting at us from their windows.' Soviet sources indicate that the capture of the town was easier still - the regiment stationed in Pińsk simply went over to the Polish side. The town was taken with no shooting, there was no retreat, the survivors simply fled, and there were no armed Jews. (Voices: Because they had machine guns) Yes, of course, machine guns and Bolsheviks, we've heard that one already. We have a list of those shot, they are all Zionists and not Bolsheviks, (Voices: you are always innocent) no arms were found on these people (Voices: Step down and don't demoralize). The minutes quoted above contain two contradictory statements; one is Grünbaum's, the other is that of those who interjected. Two days later at the Sejm's next sitting the Jewish deputies revealed a list drawn up by a member of the American Provisions Committee, B. Cukierman, which confirmed Grünbaum's statement. In "this version, on the afternoon of Saturday, 5 April, the local Jews of Pińsk gathered in order to discuss the distribution of flour sent from America to make bread for Passover. The meeting took place in the 'House of the People', a Zionist club. The meet­ing house was surrounded by the army which went on to shoot those who had attended in the town's main square. According to Cukierman, there were between fifty and one hundred dead. Cukierman had visited Pińsk that same day, but had left a few hours before the incident. He wrote the letter in the nearby town of Brzesc where news of the events reached him. The Minister of Military Affairs, Gen. Leśniewski, also took part in the discussion that day. On the one hand he made it clear that he could not possibly provide 'the House with a quick and exhaustive answer [to Grün­baum's question] today', but he repeated the news he had received via official channels. It amounted to the following. The Government had done everything to help the people of Pińsk, "but a section of the Jewish community reacted in a hostile fashion even to aid in the form of food and this upset the black market. The area had not been completely cleared of Bolsheviks and soldiers had been shot at from windows. This organized response was aimed at provoking an armed uprising in Pińsk, as the Jewish inhabitants of the town admitted to the delegate of the American Sanitary Commission' s E. Frączak (. . .) On the morning of Saturday, 5 April a secret meeting of the Bolshevik organization took place, despite notices put up on street corners 'forbidding all gatherings' and announcing a state of martial law (. . .). A small red ribbon under the lapel was the agreed sign for admission to the meeting (. . .). The commandant in Pińsk, Major Łuczyński, was warned by a soldier of the Polish army, a Jew, that the meeting would discuss in detail the subject of arms and the murder of the Pińsk garrison on the night of 5 April; he sent out a small detachment of soldiers (. . .) Around 80 people were arrested and taken to the town command's headquarters (. . .) Of the 80 participants of the Bolshevik meeting, 33 were shot on the spot. One can assume that Gen. Leśniewski himself had doubts with regard to this explanation. A mere handful of soldiers had managed to arrest eighty conspirators preparing to murder the whole garrison directly after the meeting planning that murder. So he added that he had sent a com­mission to Pińsk and initiated a legal investigation. The minister's explanation was not discussed since it was immediately followed by the decision to establish, as well, a special parliamentary commission which would investigate in Pińsk the causes and background of the execution. The socialists had also anxiously observed the disquieting phenomena which accompanied the formation of the army. On 4 April, the day before the Pińsk tragedy, the unquestioned leader of the Polish socialists, Ignacy Daszyński, warned the Sejm about the 'hooligan in uniform' and demanded an end to the army's excesses. His speech met with 'energetic protests' from Gen. Leśniewski. The army's behaviour in the eastern borderlands provided particular cause for anxiety. Robotnik had already published a particularly strong article on the subject in March when the army had only just entered the area. Another fact which had particular implications was that the PPS and 'Liberation' were members of the so called 'Belvedere camp', and constituted an important part of Józef Piłsudski's parliamentary support. Formally speaking, Daszyński's state­ment, like the Robotnik article, was aimed at the Commander-in-Chief, but in actual fact it emerged as an act of support for him and this was how it was perceived by the public. Despite the unusually mild form of the motion - it contained no words of condemnation - its presentation to the Sejm evoked the opposition of the Right, articulated by Korfanty and Witos. As a result, it was passed in two stages and without a unanimous vote. But if one takes into account that the parliamentary majority had previously decisively rejected the urgency of any motions presented by the Left or by Jewish deputies, then it is obvious that something had stirred its benches. Was it the desire to remove the affair from the daily agenda by establishing a commission, or an admission that what had happened in Pińsk overstepped acceptable boundaries? Or perhaps it was the fear of Western reaction? All these factors probably tame into play. Creating the commission was an act of compromise - it did not condemn what had happened, but somehow raised hopes that justice would be done. Although it was the least radical form of action that the Jews and the parliamentary Left could allow themselves to adopt, it was simultaneously the most radical step that the Right, including the Piast Peasant Party and the Christian Democrats could agree to. There have been suggestions - and Kukiel supports them - that Szymon Askenazy made great efforts behind the scenes to bring about this compromise. He endeavoured to convince the world that acts of violence like that which had taken place in Pińsk and which had been repeated in other towns (the worst cases being in Lwów and Wilno) were, nevertheless, sporadic and insignificant compared to those which were being perpetrated elsewhere. He wanted to persuade Jews in Poland to pursue the path of co-existence. This was particularly difficult when the army was involved, as Warsaw's authority over individuals and activists in the provinces continued to be illusory and relied a great deal on individual army commanders' sense of duty. There was certainly something to write about. In Polesie, which had been occupied with the support of the local population, an opposition movement quickly began to grow, soon acquiring the character of a peasants' partisan force. The army treated this movement as if it was part of the Bolsheviks; they knew no other way of dealing with it. Unlike the Jews, the local peasants had no contacts beyond the borders of Polesie, no representation abroad and no access to the media, so the documentary traces of these events are practically non-existent. But their political significance was great. There were two conflicting visions of the state in Polish politics at this time, two visions of Poland's position squeezed between two empires, the Russian and the German. The key to Poland's future position and her security was to be found in concepts determining the Poles' attitude towards those nations which had once formed part of the Polish ­Lithuanian Commonwealth. Let us describe the concepts involved here. The first, the federal idea, aimed at an understanding 'with the minorities and the construction of a common organism, uniting Poland, Lithuania and Byelorussia. Only a federation of this kind could guarantee Poland anyy security in the face of Russian aggression, white or red. A necessary condition in realising this concept was persuading the minorities to accept it. The second concept, that of incorporation, aimed at a territorially smaller state, but one still containing minorities and ruled in the Prussian fashion, or one similar to the Russian in Poland with the goal of forcibly assimilating the non-Polish element. The federal concept was supported by the whole Belvedere camp including Piłsudski, but the army, fast developing into a national army, had little sympathy for it. It sponta­neously and consistently followed a policy upholding the incorporation concept. The hostility expressed by the majority of superior officers, which I referred to above with reference to Kossakowski, was "largely, if not exclusively, hostility towards the Left, towards equality of rights for all the nations involved and towards the federalist idea. Federalism also demanded certain concessions in the area of landownership in favour of the Lithuanian and Byelorussian peasants. The army, however, had little understanding for peasant movements and sympathized more readily with the landowners' demands for the maintenance of their lands. It was not long before the 9th Division became a political problem yet again. This time the issue was the People's Militia.This was a force formed during the German occupation of the Congress Kingdom as the fighting force of the PPS and included many young people from the POW (Polish Military Organisation) in its ranks. After liberation it was adopted by the state and became one of several political formations of the time. Artur Leinwand in his account of this question, carefully gathered together all manner of fragments and rumours testifying to communist influences in the People's Militia, but with no convincing results. At the time a similar position was taken by the right-wing press. In fact, communist influence was minimal. This does not alter the fact that in striving to create a uniform administration and to liquidate paramilitary party forces, the authorities could not avoid liquidating the People's Militia. In April 1919, the Ministry of Internal Affairs, in agreement with the High Command of the Polish Army, decided to send a division of the Militia to serve on a permanent full-time basis in the Eastern territories. This division would report directly to its own superiors. It would serve as a garrison, so its role was largely that of a police force. The arrival of this new division also provided an opportunity to restrict the wilful actions of those who exercised authority over the population, cutting down on looting and illegal requisitioning. It also meant restricting the authority of the gendarmerie. As part of the re-ordering of the military structure in Polesie, a battalion of the People's militia from Kielce was also to be stationed there. The Commander of the 9th Division saw this as a measure taken to restrict his authority, and determined to oppose it. When the first units of the battalion arrived in Pińsk early in May, they were surrounded by the army and disarmed at gun-point, arrested and robbed of their meagre possessions. They were also not spared a lesson in patriotism, delivered by a pro­fessional Russian officer. This was particularly resented since the units were composed of members of the PPS and the Piłsudski POW. The incident became a political issue. The PPS took the side of the Militia, the Endecja and the parties allied with it opened a protective umbrella over Gen. Listowski. The Belvedere remained silent. The situation became even more acute a few days later when deputy Niedzialkowski revealed in the Sejm that Gen. Listowski had formed a Unit of Russian Officers', handing them a standard on 22 June. This group was simultaneously part of the 9th Division and of the 'White' Russian forces, who did not recognise Polish independence. This was not only an act of in­subordination on Listowski's part, but an encroachment into the sphere of international politics. In Warsaw, judging both, by ambiguous and unambiguous allusions, there was some anxiety that Listowski might at some point place his Russian loyalties above his more recent allegiances to Poland and that, in the event of a decisive break-through by Denikin’s army, he might cross over and join it. These fears proved to be exaggerated, but seemed justified in the circumstances. In August the leader of the gendarmerie who had failed to respond to these events, Capt. Wehr, a former Russian cavalry Officer, was arrested and accused of committing a series of crimes deserving a death sentence. According to Kossakowski, the arrest provoked a violent reaction. The staff at the Division's headquarters resigned, together with the entire gendarmerie serving in the Eastern territories. Gen. Listowski also handed in his resignation. It was accepted. The nomination of the new commander, Col. Sikorski, had probably been decided earlier. Apart from legal action, Sikorski noted that several officers, despite the crimes and offences they had committed, would, if removed from undesir­able influences and placed in a disciplined atmosphere, serve well and not come into conflict with the law. His final conclusion reads as follows: 'A punitive expedition will bear no fruit here; methods of approaching the people must be changed. The guilty must be punished and the poorly ­dressed allowed to live - this should be our new course of action.' Both Kossakowski and his superior, the Civilian Commissar for the Eastern Territories, Jerzy Osmołowski, shares this conclusion. Major Łuczyński did not face trial, nor was he made responsible for these events - we do not know why he was dealt with so leniently. Perhaps his regimental-legionary record carried more weight in the annals of history than the lives of thirty-three anonymous Jews. In other words, membership of the group with whose help Marshal Piłsudski had built Poland 'out of mud and reeds' was decisive. Łuczyński himself hints - I do not know on what basis - that he was held in particular regard by Sikorski and for this reason he fell into disfavour with Piłsudski's supporters. I do not doubt that many of these supporters did not approve the act that assured Łuczyński a place in history. But their disfavour was rather muted. 'The crime,' states Osmołowski, 'was hushed up and excused on the grounds of the officer's nervous derangement... he continued to work and his career advanced swiftly.' Łuczyński , who displayed no particularly outstanding qualities, quickly became a General and the Commander of the Army Corps N o 5 in Kraków. Listowski also came to no harm. The storm which had broken around him quickly subsided and he was appointed head of another tactical unit. He did not leave active service until after the war had ended, at the beginning of 1921. We can thus draw the tentative conclusion, that on the threshold of independence, the sway of Themis, the goddess of righteousness, was not very wide, certainly not wide enough for a law ­abiding country. In any case, Sikorski quickly brought the division to order. When in October of that year confidential negotiations began between the Polish and Russian Red Cross and, under this pretext, political talks between the Polish Captain Boemer and the Soviet Marchlewski, there was nothing to prevent them from being held at the small, peripheral station of Mikaszewicze, which was within the 9th Division's territory and under its protection. There were no excesses committed during the talks, no partisan activities and no information leaks. In the army, the character of the indi­vidual leader has an enormous influence on his subordinates. At this point we shall pass from the events of over sixty years ago to another question, that of how these events are reflected in historical litera­ture. Many years ago, while researching Polish policies in the Eastern territories in 1919, I tried to find material on the parliamentary commission I have mentioned, but without success. The archives had been cleared out, and what was left was falling to pieces. I have recently learnt that there was some material among Grünbaum's papers which have been preserved in Israel. However, I did find various incidental papers worth noting in Warsaw. Among the Polish National Committee's papers in Paris there is a copy of Franciszek F. Fronczak's statement made on the day of the incident. A Pole born in the States, he was a lieutenant-colonel in the American army at the time and a medical counsel in the Polish com­mission of the American Red Cross. He had connection s with the National Democrats and by virtue of this was a member of the Polish National Committee in Paris, established during the First World War by Roman Dmowski. His role in the committee was a humble one and seems to have been nominal only. Fronczak arrived in Pińsk on 5 April, that is the day of the incidents, in order to visit hospitals and to inspect sanitary standards. His statement is 8 pages long. The introduction contains the most important facts: on the evening of Saturday, 5 April 1919, in the town of Pińsk in the Minsk province, on the orders of Major Jerzy Łuczyński , the commander of the Pińsk district, thirty three Bolsheviks or communists were shot for con­spiring to obtain arms and to murder the small garrison stationed at this last outpost on Poland's Eastern borders. Steps were taken and the house where the 200 conspirators were meet­ing was surrounded. Two soldiers were wounded during the operation, one of whom died. Fronczak does not name them. About 150 people escaped, but the rest, escorted by ten soldiers, were marched to the centre of the town. The author does not ask himself how such a slight force was able to overpower so many conspirators without the use of arms and with­out opposition, or why in a crowd of conspirators 200-strong there was not a single Russian, Pole or Byelorussian to be found, even for the sake of appearance. Shortly afterwards, Fronczak heard shots and found that thirty-three of the arrested had been shot. He went out and found bodies lying in the town square. Some people were still dying. One of the dying had apparently said: 'Officer, how stupid we have been, I am still alive - put a bullet through my head.' The request was granted; he was shot in Fronczak's presence. It is strange that on hearing such a declaration, Fronczak did not trouble to ascertain any personal details about the man. Łuczyński had been humanitarian in sparing the women and old people. (Were the old also supposed to be participating in the attack of the garrison?) A search of the meeting place confirmed 'a store of ammunition and arms', but Fronczak did not see these arms for himself, nor did he explain why they were not used. Osmołowski's deputy was Count Stanisław Michał Kossakowski who has also been quoted here several times. The possessor of a large fortune in Lithuania, he was not a member of any particular political party, but enjoyed some authority in right wing and conservative circles. He worked amicably with Osmołowski without rivalry or animosity. He left a diary, an irreplaceable source of information on the Second Republic. Unfortunately the volume covering the first half of 1919 has not survived. We do not know, therefore, what Kossakowski knew in April 1919 and how he assessed the situation at the time. While feeling no great sympathy towards Jews and revealing some indulgence towards the perpetrators of the murder, he had far less understanding for Listowski who, in his opinion, was at the source of all that was bad within the Division's territory. The attentive reader will perhaps have noticed that the, Major, later General, Łuczyński also published his memoirs. They were written towards the end of his life, when the memory and capacity for enquiry tend to falter. The author even managed to confuse his own date of birth! A student who did not complete his education, a legionary, he advanced quickly, though it is difficult to see why. The most interesting point is that the act which assured him his place in history, the shooting of thirty-three Jews in Pińsk, does not appear anywhere in his memoirs! Of course, one can interpret silence in a variety of ways. The most likely explanation is that the author wished to avoid a burdensome memory in his old age. A natural and understandable reaction; memoirs are written primarily, if not exclusively, to shape the memory of oneself that is left behind - there are no exceptions to this rule. Also Łuczyński did not contribute to the stormy exchange that broke out at the beginning of the seventies in London's emigré press on the theme of the Pińsk incidents to which I shall return later. I have already referred to the memoirs of Wiktor Tomir Drymmer. Their author was a high-school student when the First World War broke out, an activist involved in various splinter groups and PPS, later a legionary. In 1919 he became a reconnaissance information officer at the headquarters of the 9th Division. He lived in poverty for a few years after the war, but later made a very successful career as the Director of the Personnel Office in the Ministry of Foreign Affairs and in the inner circles of government. Brusque and peremptory, he is of ten held responsible, to an unfair degree, for the policies of the thirties. In 1919, however, he was a member of the Left. The diaries, written over many years, are the curious product of a man holding a variety of contradictory views. On the one hand, he was critical of the state of affairs with in the division and denounced it in Warsaw, providing Niedzialkowski with material for very radical pronouncements. Towards the end of his life he was to write bitterly: 'Such was Polish reality during the first months of independence;' but these phrases can be understood only by the initiated, those already familiar with the historical details. For example, one has to have background knowledge to realise that Łuczyński has been conspicuously omitted in the register of the Legion's comrades-in-arms within the division. Drymmer was known to be candid, excessively so. But he was silent on the subject of Pińsk. He gave way to the general taboo on this topic. That which appears natural in a diary does not necessarily sit comfort­ably in historical records. Let us examine, therefore, how the incidents which resulted in Władyslaw Sikorski's nomination as commander of the 9th Division are represented in historiography. Let us start with Kukiel. I am sure he wrote as his memory dictated and that it dictated nothing on the subject of the themes that I have taken up. It must be strongly empha­sized that he agreed with me in his letter, although he wrote and published something quite different. I would prefer that this agreement be stated publicly and not just in a private letter, but then I myself, armed with Kukiel's letter, should have published my notes without delay . . .
What of other historians? Over the years I have grown used when coming across problems new to me to referring in the first instance to Władyslaw Pobóg-Malinowski. I did so now. I looked at the geographical index, the index of names, but I found nothing. No shots in the Pińsk town square, no corruption within the division, no note of any resonance in either internal or international relations. Nor of the consequences in relations with minorities. His silence creates a particular atmosphere, a certain view of the past in which there exist wicked minorities and a state victimized by them. It can be said in Pobóg's defence that he was no model of objectivity, that his great work is written largely as a polemic in defence of his own position and that as a result we have a selectivity of facts, a limited field of vision. He was not an anti-semite; he simply had a narrow conception of the interests of the nation and state, closing his eyes to matters he found distasteful. How do these problems appear in the written history which bears, to a greater or lesser degree, the official stamp of the Polish People's Republic? Let us refer to an official work, Historia Polski (The History of Poland) in several volumes issued by the Historical Institute of the Polish Academy of Sciences. V olume 4 is given over to the Second Republic, though the term volum is inappropriate as in the first, so-called 'model' version, what is involved is six large format books made up of a few thousand pages. In the introductory version, written in 1966, the events in Pińsk were dealt with by Henryk Zielinski. His account was brief but sensibly written and based on my research conducted earlier. This version was later amended several times. Between 1966 and 1969 there was a 'change of paradigm' and the version which followed omitted the Pińsk incidents. The 1984 version also fails to mention them and a whole series of questions are dealt with in a single sentence which states that 'there were several incidents at the time involving soldiers raiding Jewish shops and beating up Jews, or at least remaining neutral in the face at such behaviour'. Quelle delicatesse des sentiments! An abundance of biographies of Władysław Sikorski have appeared over the last few years. The author of one of these, Roman WaPiński, is a qualified historian and the author of several monographical studies and textbooks. His Władysław Sikorski appeared in 1978. The sections dealing with the inter-war period are written with some knowledge of the subject and there is much here that enriches our knowledge. But in writing about the 9th Division the author hesitates and his pen begins to grind a little. He knows his subject, he knows what was going on, and anyone who knows how to read will see that he has consulted all the necessary documents, but the knowledge therein is for the initiated. All the information is reduced to a single sentence: 'Sikorski's first tasks involved dealing with looting, an activity regarded as normal by some Polish officers in Polesie and which they saw merely as claiming the spoils of war.' Perhaps it is not a simple question of prudery? Of course, individual motives may vary, but collec­tive motives, which are what concern us here, have some common denom­inator. 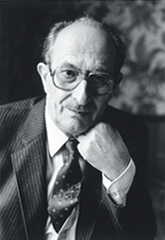 Professor Norman Davies, in the conclusion to his history of Poland, states that one of the important instruments which serves to keep Poland in a state of dependence is the manipulation of the past, not only by means of censorship, but by 'appealing to Polish vanity'. This, he argues, is the modern equivalent of St Petersburg' s one-time policy of praising the 'Golden Freedom' of the szlachta. History is made sterile not only by omitting the war of 1920 or Katyn, but by details which aim at a past image of the Polish character which is convenient for Moscow. It is uncertain which works the author of the next biography, Olgierd Terlecki, has consulted. He rightfully draws attention to the fact that when Sikorski took over the division it was more of a motley band than a tactical unit. He also writes that Sikorski began by disbanding the Byelorussian Officers' Legion'. . . which displayed a complete lack of discipline'. There is not a word about the sins of the non-Russian cadre - though the author must have known something about it. He prudently omits any notes on his references, and for this reason we are unable to ascertain the extent of his knowledge or his lack of it. The third biographer, Walentyna Korpalska, deals with the facts quite bluntly. She had come across Kossa­kowski's diary and makes selective use of it. The event in Pińsk she refers to as the invention of an 'oppressed minority' (her words) or as 'the so-called Pińsk pogrom'. I do not doubt that the authors were anxious to display Sikorski's merits. But in this case, by avoiding unpleasant details they have belittled his qualities. Sikorski's role had to be diminished in the interests of the nation. The result - a double deception in the representation of Sikorski as well as of Polish affairs. At this point it is necessary to consider a series of related questions. We know that thirty-three Jews were shot in Pińsk. If one admits that a crime was committed, is it a phenomenon so banal that every historian research­ing the events of this year could without qualms of conscience avoid it or gloss over it? Can one argue that incidents of this type are common to the history of wars and armies all over the world and not specifically Polish? Should one consider the victims of a certain young officer to be merely an insignificant addition to the millions of human beings who have been victims of world war, revolution, counter-revolution, nationalist move­ments, lawlessness, anarchy, cruelty and the devaluation of human life? One may also ask: is this not too great a fuss to make about a single incident? Whatever one might think, Poland was a law-abiding country and murders such as the one in Pińsk, if not unique, were certainly not a daily occurence. Why open old wounds? After all, History - with a capital letter - has always been rather casual in her treatment of the nation lying between the German and Russian states. Would it be such a great mis­fortune if this nation were in turn rather casual with history - that with a small letter. Perhaps one should stifle unpleasant truths about facts which cannot be undone? These are not rhetorical questions, I put them to myself because of the way the problem of the 9th Division has been treated in Polish historiography. When reason sleeps, phantoms begin to wake. No longer simple red ribbons under hasidic lapels, but an uprising which had to be crushed. When there is a lack of honest information, rumour steps in to take its place and acquires an autonomous life, taking whatever form might be most convenient. Łobodowski's article provoked an almost farcical dis­cussion in which intelligent people who before the war had been accused by the Nazi-influenced press of currying Jewish favour (accusations then levelled at Łobodowski also) now felt obliged to defend the actions of the Pińsk Commandant, though they were perfectly aware he had committed criminal acts. Only Łuczyński said nothing. The questions have been asked. It is time to attempt answers. We must first deal with the argument that side by side with the massacres which took place at that time the Pińsk incident is a mere 'drop in the ocean'. Without even counting the Russian, Polish and Ukrainian victims, but looking at the murder of Jews alone, Łuczyński 's victims can be seen as an insignificant proportion. According to data from the 'Universal Jewish Encyclopedia:', 31,000 Jews died during the pogroms and as a result of the confusion of revolution; of these, 17,000 lie on the conscience of the Ukrainians, 5,000 on that of the White Russians, and 1,000 were victims of the Red Brigades. This was a time, after all, of widespread violence and brutality, of broad and fundamental demoralization. The Polish point of view should be rather different. It is irrelevant that we have also lost many throughout our history. Poland's policy concerning its national minorities was bad and does not deserve to be defended from either a moral or pragmatic point of view. The behaviour of the officers in Pińsk conflicted clearly with all the state's articulated policies. But it can­not be ignored or wished away. The Pińsk affair must be seen as a symptom of what was happening in the state and society at the time. These excesses had an obvious influence on the situation with in the country as a whole. Federalism could only work if all the nationalities involved recog­nized their common interest in linking their future with that of the Poles. Spectacular acts of violence against the minorities made federalism impos­sible, with implications which were felt long after. Feelings of patriotism came late to Polesie but it was precisely here during the 2nd World War that Ukrainian partisans operated and were the most persistent and irreconcilable in their hatred of everything Polish. In remembering them, let us not forget Capt. Wehr. Perhaps this hatred contained an element of reckoning for the events of not so many years ago? When I read works on the relations between the Polish state and its national minorities which limit their research to the years 1921-1939 and studiously omit the time preceding the Riga Treaty, then it is difficult not to conclude that one is dealing with something that verges on historical deformation. A similar phenomenon can be observed in Pobóg­Malinowski, who omits to mention Lwów and Pińsk, and who writes about Łuczyński and Listowski only in a military operational context, and who then concludes that the Jews were negatively disposed towards the establishment of the Polish state. There is also another issue to consider, the effect on Poland's inter­national position. The nationalities question, Poland's potential weapon in the face of the Soviet threat, became her weak point; anyone who felt like it could use the issue against her. At the very threshold of independence foreign attitudes to Poland became more relevant. They had undergone some changes. After the partitions, until the January Uprising, Poland was the inspiration of all the nations and was universally felt to be an Eastern bastion of Western culture, which was a part of the West, standing, poised against Asia as embodied by Russia. There was some romantic and naive exaggeration in all this but Poland had its own elite to represent her in Europe and which was certainly European in every sense. There followed several decades when Polish affairs lost their immediate significance and knowledge about the Polish lands became quite rare in Western Europe. In this situation the news of what had happened in Lwów, Pińsk, Wilno and elsewhere did incalculable harm to the Polish cause. So too did the failure to recognize the need to deal fairly and justly with the new state's national minorities, above all the Jews, with their important informationai connections. The murder of Jankiel was in fact the murder of Pan Tadeusz and the consequences were seen at the Paris Peace Conference. Many Polish publicists have claimed that various states, interest groups and secret societies acted in this period against Polish interests. Yet one can safely say that it was undoubtedly the Poles who did themselves the most harm, beginning with Łuczyński and ending with Dmowski. Poland paid for Pińsk, Lwów, Wilno and Capt. Wehr and the 'antics' of Haller's men with the mines and steelworks of Upper and Austrian Silesia, East Prussia and the Minorities treaties. Arguments were already being formulated in 1919 which were to be used against Poland whenever it was necessary to find a stick - for example, when the Allies agreed to betray her at the end of the Second World War. The 'Pińsk affair' allows one to comment on more than just past history. Through the prism of the affair and its discussion in Polish historiography one learns much about the present state of historical awareness. Many works have been written on the regaining of independence and the construction of the new state after 1918. Almost all suffer the same deficiency - they do not reflect the real, tragic problems of that time. Diffi­culties? The result of internal ambitions. Poles? Only the exceptional ones. A strange situation arises. In 1914 the riflemen and legionaries fought in isolation, and the words of the song 'First Brigade' expressing this isolation were more than just literary affectation. When the first cadre entered Kielce, the doors of Polish houses were literally and metaphorically slammed in their faces. Confronted with a pastoral letter from the local Bishop, the Legions' spokesman, Leon Wasilewski, had to prove that the riflemen were not a venereally diseased band of individuals. Four years later everyone was full of patriotic fervour, noble, reasonable and generous, only the national minorities seemed to put a spoke in the wheel. To omit the unpleasant and the uncomfortable is to concoct history. It is worth considering what the consequences of such actions are. To say we obtain a false picture is a truism, because this very picture is the aim of falsification. Does one achieve anything positive? Lecturing on the history of Poland abroad, I discern differences between the way Poles and foreigners approach the past. Foreigners are not subject to either social censorship or indoctrination. I will take the German scholar Frank Golczewski as an example. He recently published an extensive treatise formally on Polish-Jewish relations from 1881-1922. Golczewski's analysis is not above criticism. There is little in his book about the extent of the problem of the national minorities within the Polish territories. One finds nothing about the disputes surrounding these problems with Polish society and there is no awareness that one's relationship with the Jews formed a very strict dividing line affecting all other opinions. The author is also wrong to label as anti-semitic assimilatory and emancipatory strains of thought. But that is only one side of the coin. Golczewski has also gathered a wealth of material and provides an extensive account of events in Pińsk, based on Grünbaum's papers taken to Palestine just before World War II. Some Polish authors who maintain the taboo on unpleasant subjects believe that they are acting in the national interest. They want to construct a blameless historical past for their native land, free of any stain. It is doubtful whether they will achieve their aim. If, instead of dealing with unpleasant facts by placing them squarely in their historical context, we omit to mention them at all, then we will encourage in others an image of ourselves which will increasingly contrast with our own. There is another danger. In conditions as in Poland where the free expression of political opinions and the exercise of democratic rights are limited, the discussion of the events of the past assumes greater importance. In these circumstances, history becomes entwined with tradition, knowledge with myth. Historical study becomes burdened with a task which provides it with no nourishment in the long run. History is always in danger of abandoning the scientific ideal, it surrenders easily to distortion. Historians (and others who write about the past) become the high priests of the nation's memory and memory itself acquires the characteristics of a cult; it becomes something one believes in. One cannot yearn for something that the memory finds embarrassing. We preserve our sufferings at the hands of others in our memory, the partitions, invasions, expulsions. There is no masochism in this, as foreigners often seem to think. We reflect on our suffering because, like great cultural flowerings, national uprisings, displays of athletic prowess and the achievements of emigrés, it testifies to our inexhaustible capacity to survive. If analogies with the fate of the Jews and Jewish historiography occur at all in the study of Polish affairs, then it is here that they are particularly striking, which should offer us no sense of relief. There is, therefore, a place for painful episodes in this sort of history, but not for unpleasant ones. Yet history understood in this manner so on becomes sterile. The educative role of the historical discipline cannot survive without the discussion of unpleasant facts. This was demonstrated recently by Jan Józef Lipski in his work 'Two fatherlands - two patriotisms', which provoked a violent response in Polish circles, in love with their own past. The philologist Professor Mestan has claimed that we do not know and probably never will know the first, early slavonic word for 'bear'. This beast was so feared that although his name was known, it was preferred not to 'call him out of the forest' and a paraphrase was used - 'he who eats honey', hence the word medved and its derivatives. The process by which history is converted into myth cannot by fully understood without recourse to theories of myth which applied, it seems, not only to primitive man. . Myth can exist just as effectively in a negative form, as silence or taboo. The bear was taboo, Pińsk and a few other places are taboo. A characteristic of myth-taboo thinking is the transfer of a particular phenomenon to the level of the general. A concrete, dangerous forest creature becomes a generalization. A murder, execution or pogrom in Pińsk was the act of a concrete individual, whether a frightened, drunken man or a confused officer. The events which followed later, the parliamentary discussion, the defence of the accused, the shielding of the division, transferred the act to the leve1 of the general. This transformation of an event into a timeless taboo or superstition cannot be justified. If history belongs to the nation, then so does the historical taboo. The act of an individual rooted in time becomes timeless and common property. The rational step is to settle the account. For why should the son's teeth be set on edge because the father ate sour grapes? M. Kukiel, Generał Władysław Sikorski, (London, 1970), p. 280. PAN Archive, 'Dyariusz S. M. Kossakowskiego', vol. 4/2, pp. 175,255, henceforth appears as 'Diary'. Cf. a brochure which in its time represented a programme for the Piłsudski camp: T. Hołówko, Oficer polski, (n.d. probably from 1922). The Civilian Commissar for the Eastern Territories, Jerzy Osmołowski informed Piłsudski, that one of the officers had attempted to claim and send out a few dozen wagon s of war booty. Piłsudski's first reaction was a sharp one: 'Give me his name, I’ll have the scoundrel shot!' but he changed his tone on finding out who it was. 'No, I cannot give you that officer! We need him . . .' There followed the tragic statement which provides a key to many problems of the IInd Republic, 'I build Poland out of all the material available to me... out of reeds and mud!' 'Pamiętniki Osmołowskiego' BN Rps. akc. 6797 e, k. 80. A. Stojowski, Kanonierka, (Warsaw, 1978), p. 37. A.J. Narbut-Łuczynski, U Kresu wędrowki. Wspomnienia, (London, 1966), p. 269. Sprawozdania Stenograficzne Sejmu Ustawodawczego (Parliamentary record of legislative Sejm, henceforth referred to as SSSU) 8 April 1919, p. XXXVIII/34. For same of the documentation on Pińsk, see J. Tomaszewski, 'Pińsk, 5 April 1919', POLIN, vol. 1. Ibid. Sitting of 10 April 1919, p. XXIX/62. Ibid. 4 April 1919, also S April 1919. Robotnik no. 144, 12 March 1919, Mieczysław Łodzia: 'On the behaviour of soldiers in the borderlands'. Probably the pseudonym of Mieczysław Niedziałkowski, who came from Wilno and who was actively concerned with the politics of the Eastern territories. Fr. Walerian Meysztowicz, writing in 'rather elevated tones about his days as a youth in the army in the cavalry regiment led by the legendary Major Dombrowski states, after years of denigrating Robotnik: 'We, who fought against Moscow were not at all an ideal detachment of knights. Beside the blameless - and there were few of them - there was the common vulgar herd, there were moral troughs', Gawędy o czasach i ludziach, 2nd ed. (London, 1983) p. 173 passim. The following is the only piece with any integrity to appear for decades: J. Tomaszewski, 'Lwów, 22 November 1918'. Przegląd Historyczny (1984), no. 2. Almost a year later Kossakowski writes: 'As always in the army, the superior officers and army dignitaries understand the situation but even they cannot control their own apparatus,' Diary, vol. 5/1, pp. Report from Leon Wasilewski's papers, National Library Rps. akc 4758. W. T. Drymmer, Zeszyty Historyczne, vol. 28 (1974), p. 187. A. Leinwand, Pogotowie Bojowe i Milicja Ludowa w Polsce 1917­1919, (Warsaw, 1972). Deputy M. Niedziałkowski's question to the Sejm and the urgent resolution to dissolve the Russian troops in Gen. Lisowski's division (SSSU, 19th April, 1919). The urgency of the motion was overruled by the majority of the Sejm. Drymmer wrote years later: 'Completing the set was the Chief of the field gendarmerie, also an old Russian cavalry officer, Lt Wehr. He was famous for his hatred of Bolsheviks, for whom he had one word razstreliat (shoot them). It is a good thing he wasn't at the front and had no opportunity to satisfy his instincts' (Drymmer, op.cit., p. 181). Drymmer says nothing about Wehr's arrest, although he was its instigator, see above. I tried over many years to find out what happened to Wehr. The military annuals list no officer of that name, which leads one to suppose that he had been expelled from the officer corps. I found no personal details in the military Central Archive but there could be a number of reasons for this. Some incidental information about him: he ran his own farm near Łęczyca and continued to do so after the occupation. After the Second World War he was a starosta in Kalisz on behalf of the PPR and later the director of a large institution there. According to Kossakowski, it was proved that Wehr had shot twenty-five people without trial. 'Diary', vol. 4/2, pp. 156-75. 'Diary' as above, pp. 140,221, entry for 9 October. As above, pp. 149, 230. Sikorski's subordinate at the time, Col. Grobicki, described years later how Sikorski, letting him in late one night was visibly shaken for some reason and kept a pistol under a blanket. Zeszyty Literackie 1963, 3; 1961, 9). And Grobicki in Sikorski's words: 'Captain Grobicki, a former superior on Listowski's staff is now kept on a tight rein and is perfectly all right. One can't give him free rein as a tyrant sleeps within him.' There follows such an extreme description of Grobicki's boasting that I feel obliged to cut my quotation short. I refer the interested reader to the 'Diary' op. cit., pp. 140,221. For Fronczak's report, see Tomaszewski, Pińsk 5 April 1919. Drymmer, p. 187, The memoirs are to be found in Zeszyty Historyczne, (1974), no. 28. Historia Polski. vol. 4, (1918-1939). part 1, (vol.) 1 Ed. Leon Grosfeld and Henryk Zielinski. (Warsaw, 1966). Cf J. Lewandowski Federalizm, (Warsaw, 1962). Historia Polski. vol. 4 (1918-1939), part 1. Ed. Tadeus Jedruszczak. (Warsaw,1978), p. 97. R. Wapiński, Władyslaw Sikorski, (Warsaw, 1978), p. 97. O. Terlecki, Generał Sikorski, vol. 1, (Kraków, 1981). The author writes very confusedly of these problems in an earlier version (Generał ostatniej legendy, Chicago, 1941) where the initiator and inspirer of the Officer' s legion was. . . Piłsudski! W. Korpalska, Władysław Eugeniusz Sikorski. Biografia polityczna (Wrocław, 1981), p.90. Wiadomości, (1970), 1/ 11 Józef Łobodowski. Cr. Tomaszewski's convergent opinion, opus. cit. F. Golczewski, Polnisch- Judische Beziehungen 7887-7922 Eine Studie zur Geschichte des Antisemitismus in Osteuropa, (Wiesbaden, 1981), pp. 218-29. 360. I wrote further on this in the following article 'Funkcje szczególne historycyzmu w krajach systemu sowieckiego', Zeszyty Historyczne. (1973).